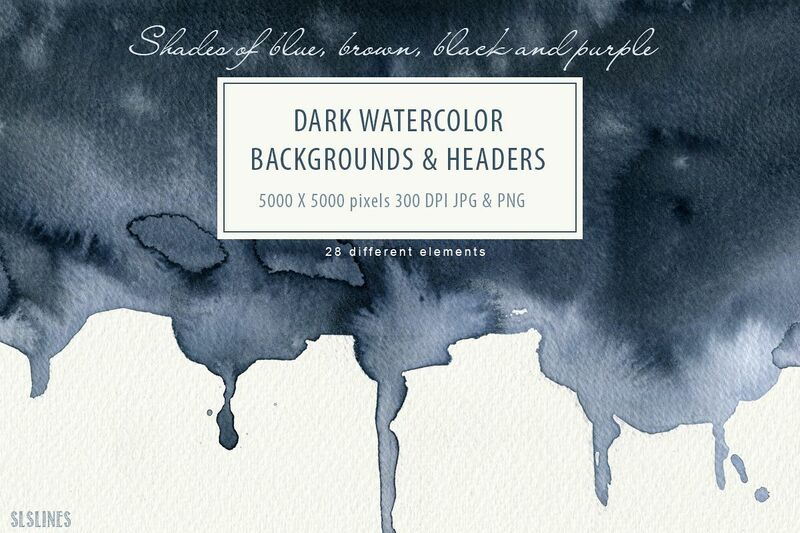 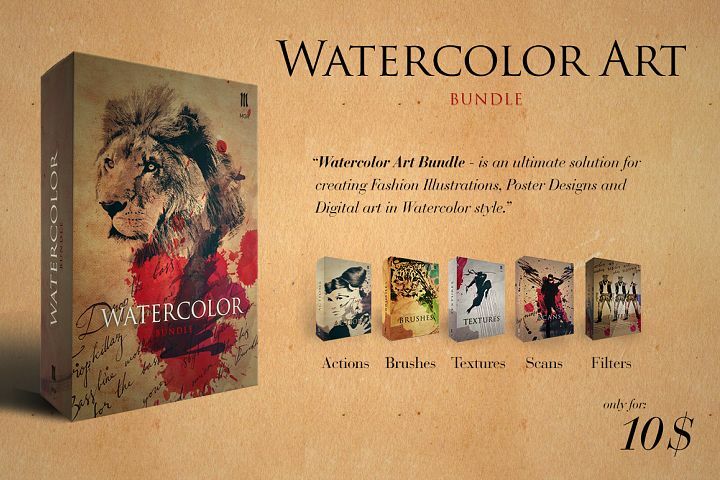 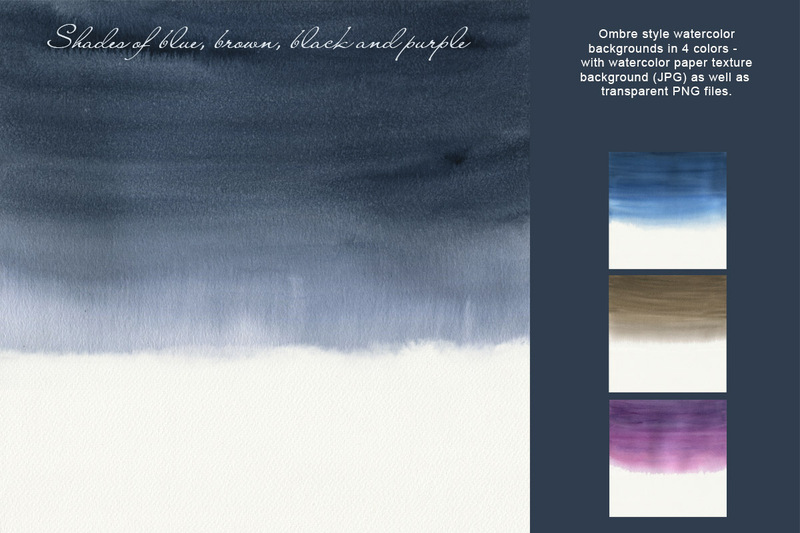 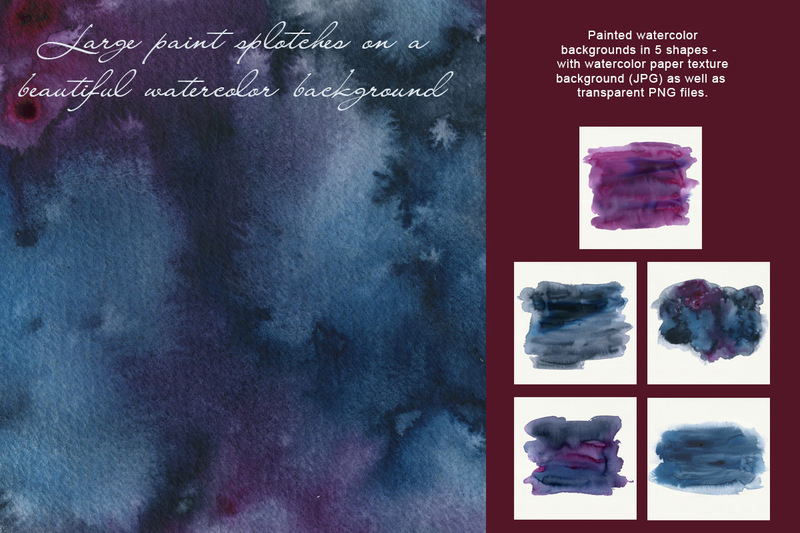 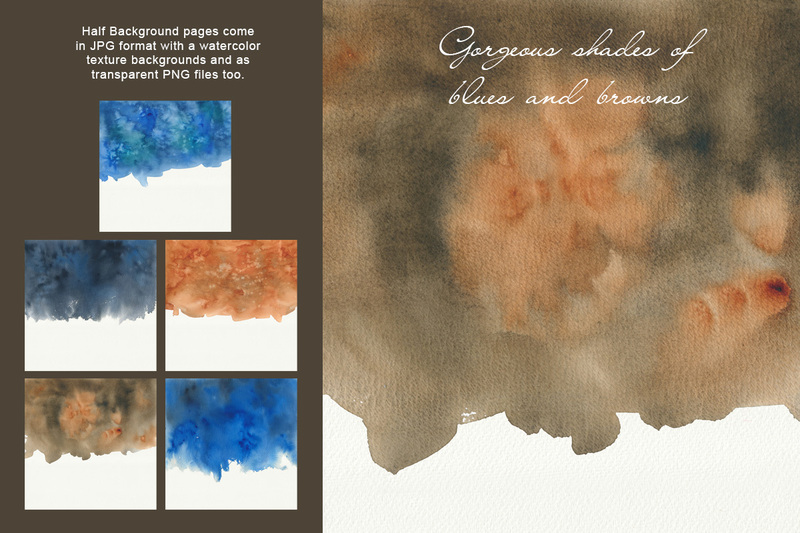 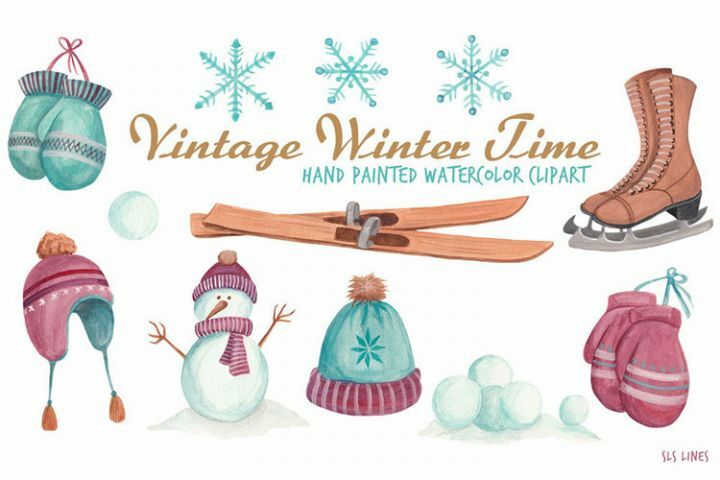 A high quality set of deep and dark watercolor backgrounds and headers in shades of black, blue, brown and purple. 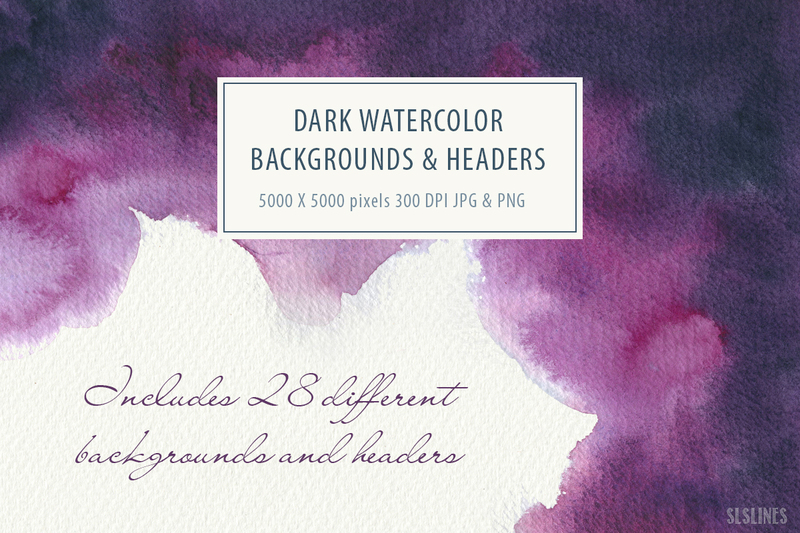 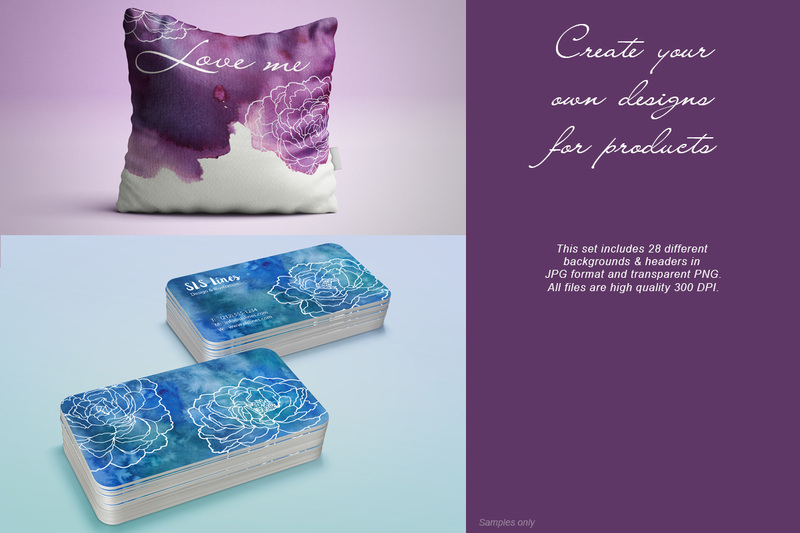 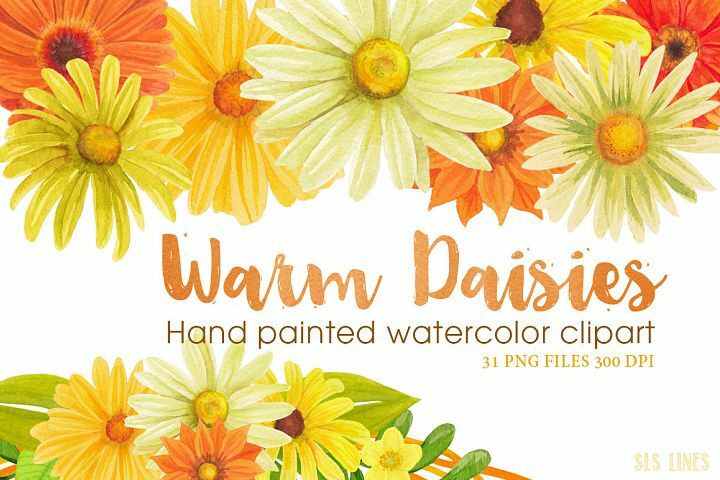 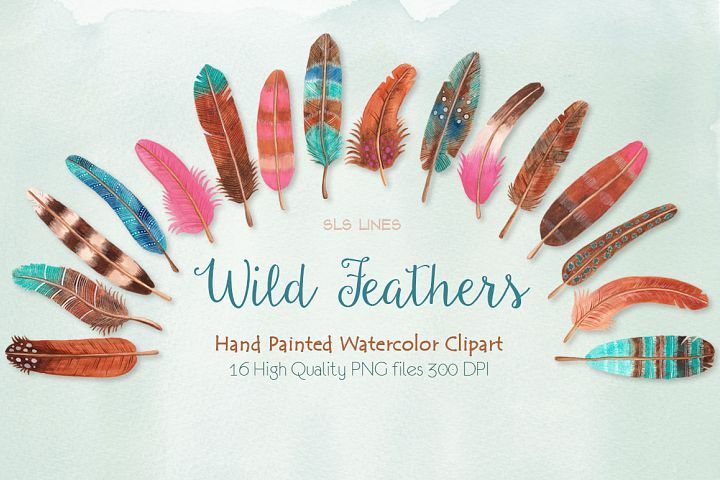 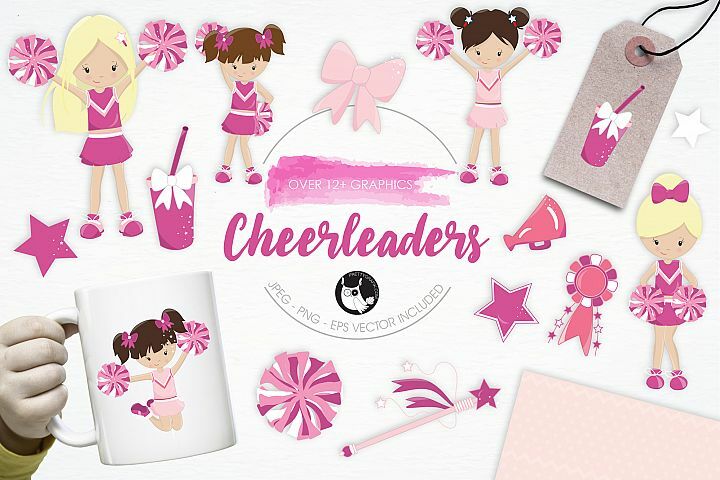 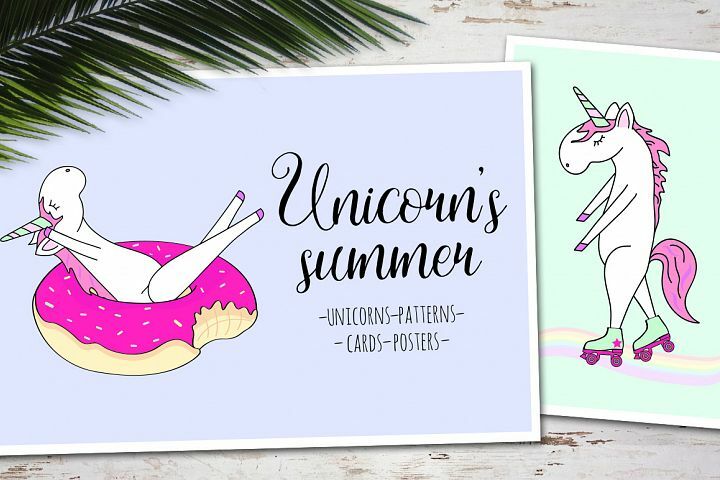 In this set are 28 different elements featuring full backgrounds, large painterly splotches, half background pages, headers and ombre style backgrounds. 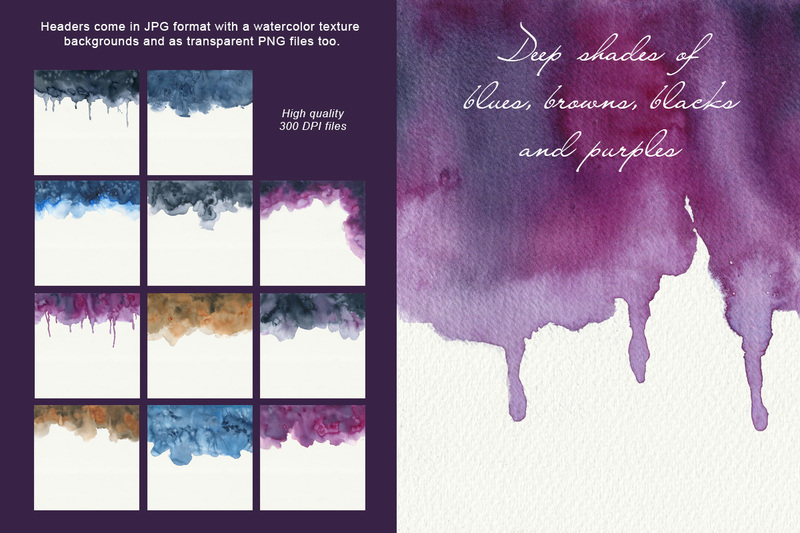 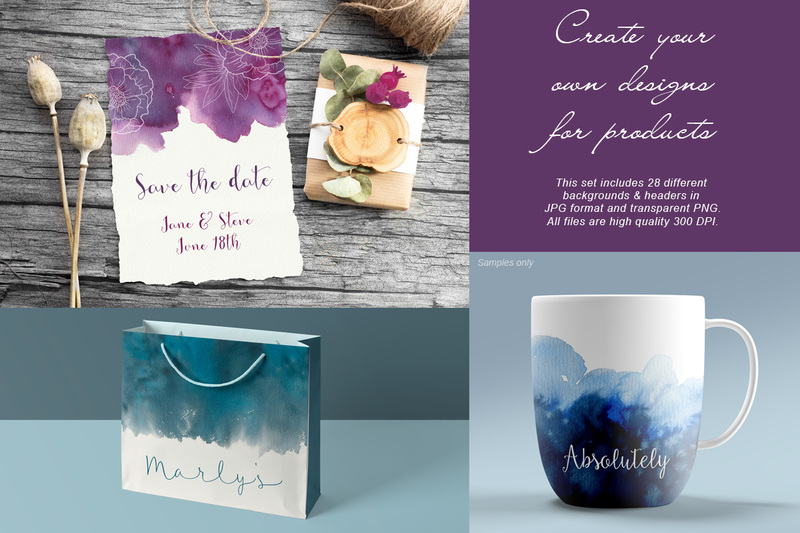 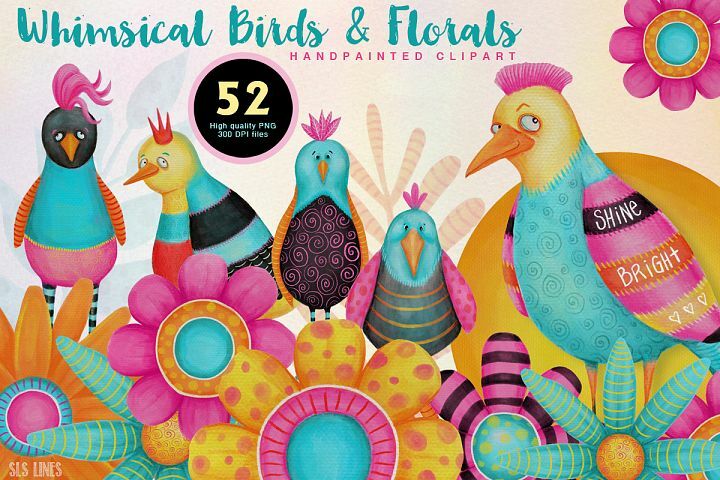 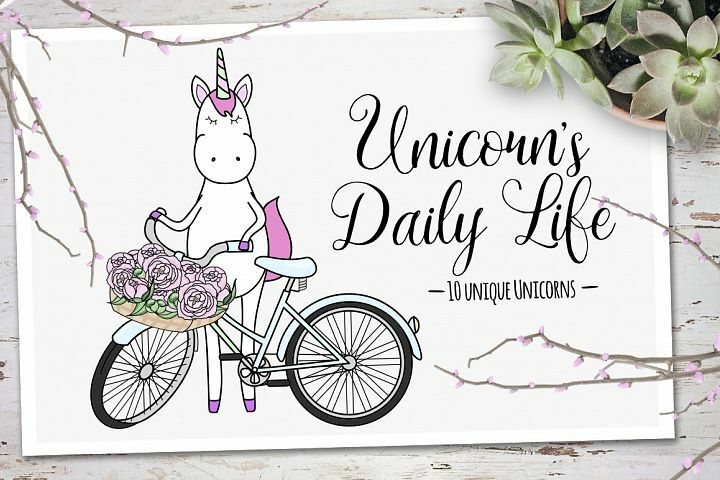 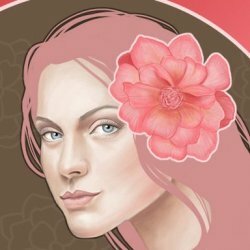 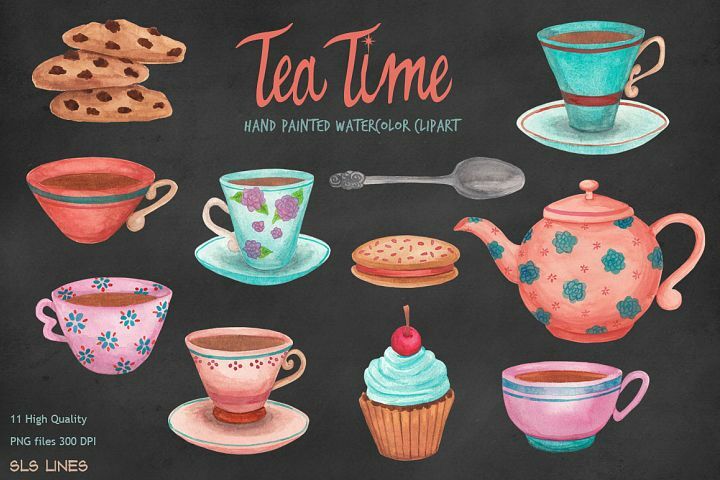 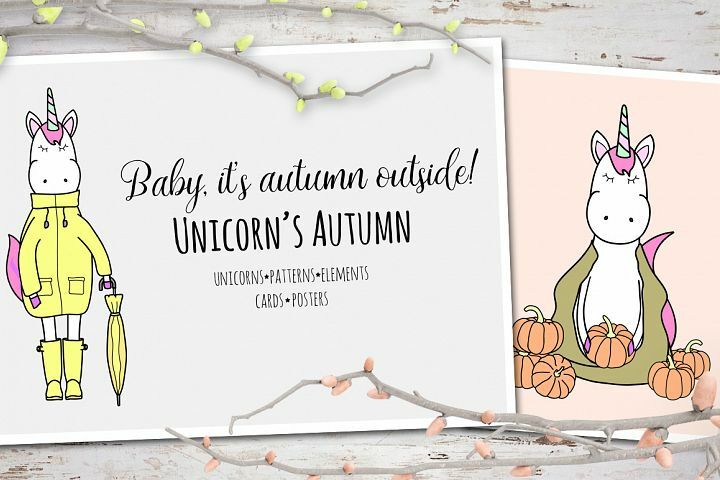 Included are 28 JPG files with watercolor texture background and 28 of the same images in PNG format so you can use them on different color backgrounds. 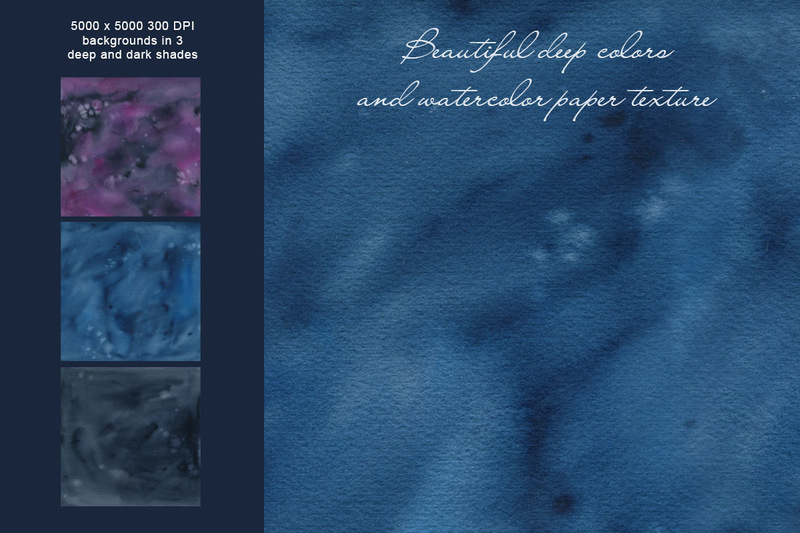 All files are high quality 300 DPI. 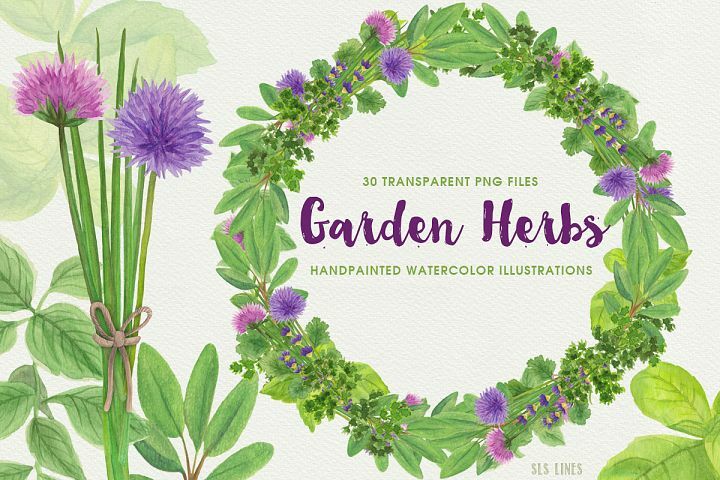 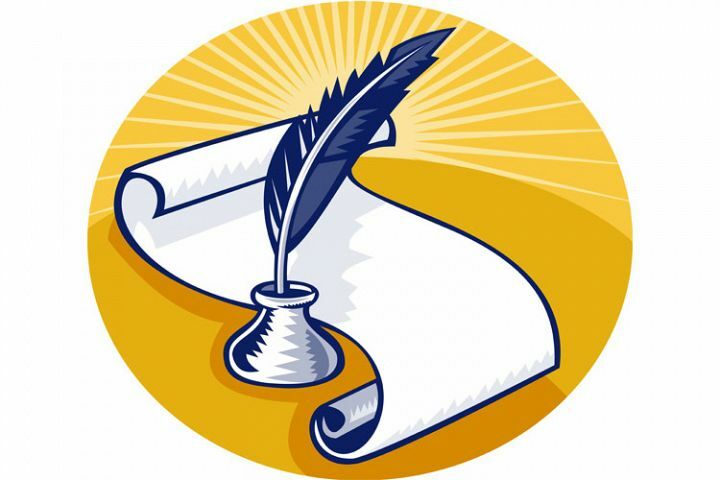 This listing is for a set of 56 files (28 JPG and 28 PNG) available in one ZIP file.